From a soldier’s scrapbook … a rather handy clue. In the summer I wrote about an impressive framed photograph that I found in a local shop. I had presumed the photograph had been taken in Canada but this was not the case at all. The photograph was taken by Folkestone photographer J. Weston and presumably at a location in or near the town. I’ve not seen photographs of Shorncliffe Camp featuring the buildings in the background but I would be interested in hearing from anyone who can provide more information on the exact location. 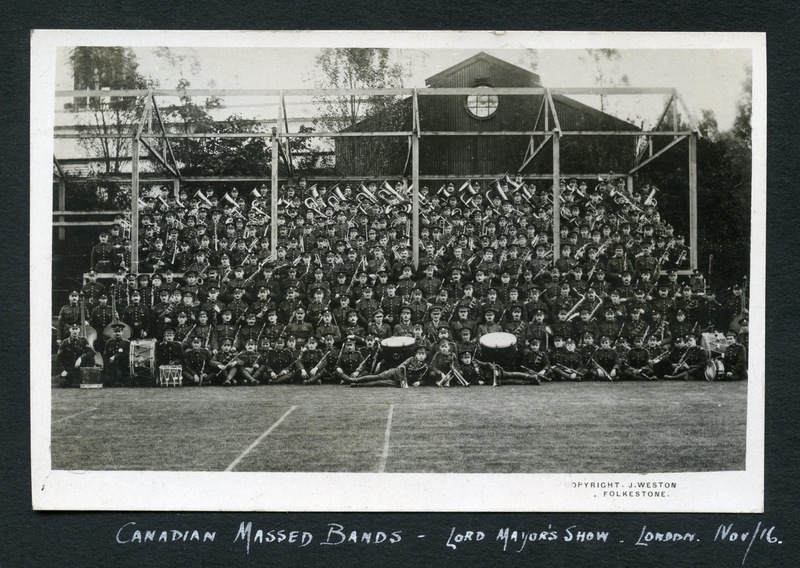 Tagged as: Folkestone, J. Weston, London, Lord Mayor's Show, Photograph, Regimental Bands, Shorncliffe Camp, Who Goes There? 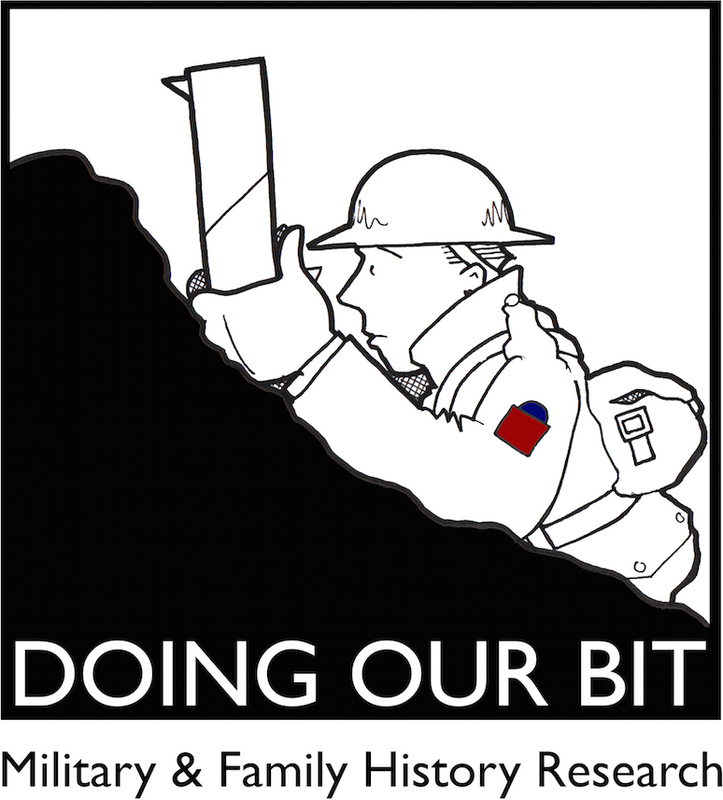 Remembering Lt. John Keith Bousfield, Holzminden P.O.W. Googling the phrase ‘Lord Mayor’s Show 1916’ produces numerous links to a 2 minute silent video of portions of that 1916 parade. No sign of Cdn. troops in the clips. Thanks for the comment. I had seen a 1-minute clip shot from a different angle but not the 2-minute clip I just watched. I saw some ANZAC troops and some bagpipes but as you say no sign of the massed Canadian band. Thanks again, Steve.